Hi everyone! 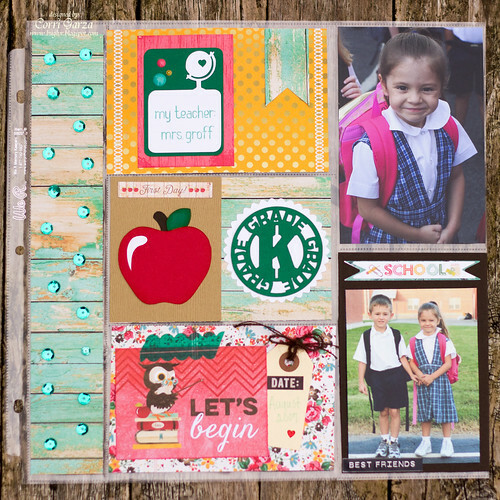 I'm up on Lori Whitlock's blog today sharing my first pocket scrapbook page. One of my goals for the new year is to get more photos put into albums. I decided to try some pocket pages. These pictures are of 12 year twins...I'm a little bit behind. I used paper from Webster's Pages - Hall Pass Collection. This collection is so adorable! 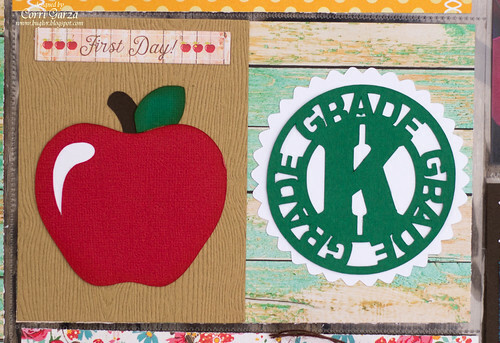 I added this cute little apple and grade title to the center 4 x 6 space on my page. I used my Silhouette sketch pens to add some journaling to this 3x4 life card (reduced to 75%). Now is a great time to stock up on Lori's shapes.....everything is on sale now through 1/19/15. Use the code JANUARY to save. You can find this adorable Webster's - Hall Pass paper in the Paper Issues Shop. Use the code CORRI to save 20%.